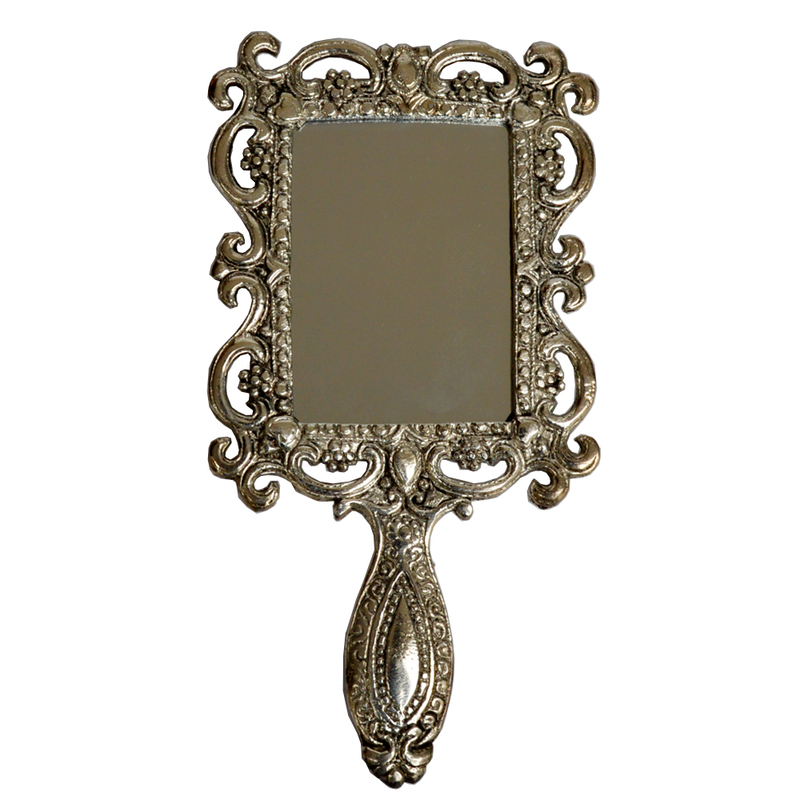 The Ornate Hand Mirror in Oxidized Metal boasts of truly sensational design patterns on its metallic body, which makes it comparable to the ornate mirrors Read More..used by royalty in the past. The rectangular mirror face is aptly proportioned to make it convenient for its users to see their face with ease, while the ornate handle adds to the visual opulence of this intricate piece. In fact, this beautiful hand mirror provides the perfect opportunity to its users to live a slice of royal life. Show Less..